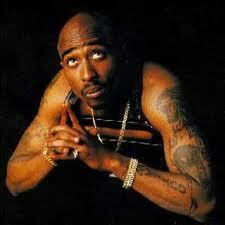 Happy birthday to hip hop legend, Tupac Shakur! He would have been 43-years-old today. I wrote about my love for Tupac awhile back and although he’s no longer with us, his music and spirit still lives on. He was only 25 when he passed away and already made a huge impact in the music industry while he was here. He might ask, “How Long Will They Mourn Me?”…the answer? forever. Fans will NEVER forget Tupac Shakur. Rest In Peace. You can purchase your favorite 2Pac shirt at www.HipHop-Head.com. Like Hip Hop Head on Facebook here. What’s your favorite 2Pac song or quote? Next I’m Tired of Hearing About Blue Ivy’s Hair!